Many of the congregations in our area share worship space. For most, it just makes sense. Fifty year old facilities built for the fifties are often an awkward fit for today’s worshipers. More and more of the people around us put “none” on surveys asking about religious preference, while they may in fact be eager to explore spirituality and to make a difference in society. There aren’t loads of folks from the Midwest and across the country – as there may have been once – moving into town for work and desperately longing to squeeze through the doors of the local Lutheran church. There may, however, be people around us who speak Korean or Farsi. There are new church starts looking for a home. And then there are the buildings: sometimes beautiful worship spaces built in another era and expensive to maintain, spaces that may get used 2 hours per week. It makes sense to share use and cost. When we went through the lengthy process of agreeing to share our space with Grace Road Church, council leaders were clear that we didn’t just see this as a rental opportunity, but a chance to “welcome all to share the joy of faith in Jesus Christ,” as we say in our mission statement. 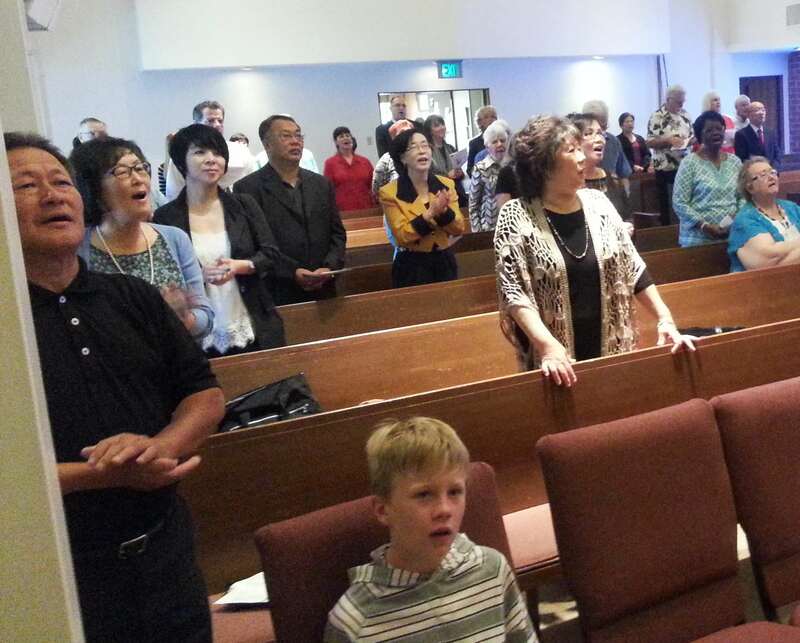 Even when congregations share worship space, they seldom share worship. On Sunday, May 26th we had our first joint service with Grace Road. I say “first” because we hope it’s not our last! It was a wonderful experience. Sitting in the front, I got to hear and feel a full room singing beautifully together. Youngla Jung and Seungsook Choi joined with our worship team. Sungmie Jang played a harp solo. 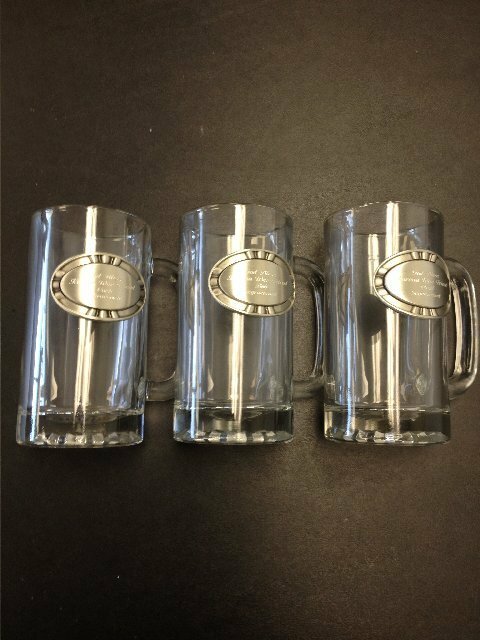 personalized steins for our Korean War vets! I preached on access to God in grace, and Pastor Choi preached a funny and elegant message on his learning about our welcome to LGBT folk, on the gospel message and he need for us to put faith into action. The gifted Grace Road member Sungmie Jang translated both of our sermons before sitting down and playing a lovely piece on the harp! This being Memorial Day weekend, Grace Road wanted to recognize St Luke veterans of the Korean War. It was moving to see Bob Hood and Paul Sellin come to the front and be applauded; Cork Platts wasn’t able to be there but had me read a brief message. Then it was lunchtime. Homemade Kim-chee! Korean BBQ, rice, noodles, and more! Thank you, Grace Road, for your hospitality to us! People have come up to me over and over since then to say how meaningful this day was to them. Thanks be to God! This entry was posted in Goings on, Pastor, Worship by officesaintluke. Bookmark the permalink.